After children have had a chance to read the text and you’ve listened in and worked with children in the group, spend a few minutes talking about the text, revisiting the teaching point, and wrapping up the lesson. What you do after reading depends on the reading level, the needs of the children, and the text itself. On most days, you will build and check comprehension by inviting children to discuss and respond to the text. You will also reiterate the strategy you taught and help children apply what they learned to independent reading. Extend the teaching of the strategy through the use of graphic organizers, independent reading, etc. Take a few minutes after reading to build and check children’s comprehension. Remember that understanding and making meaning is always the central goal of reading, no matter what skill or strategy you are teaching. It’s important for children to have a chance to talk about the book, ask questions, and respond to the book. Facilitating quick book talks after reading raises children’s speaking and listening skills and supports their thinking, vocabulary, and comprehension. You can raise the level of the discussion by asking children to use evidence from the text to support their ideas. It requires children to base their ideas on actual information from the text, holding them accountable for their comprehension. After you have discussed the book with the group, reinforce the main teaching point that you asked children to try out during reading. You can share an example of how someone in the group used the strategy to problem solve that day. You might also want to refer to another teaching point that you made with a reader during reading that could be beneficial for the whole group. Link the learning to what you want children to do when they are reading independently. When you are reading by yourself you can keep practicing this strategy. Good readers know when something doesn’t make sense, and reread to try to fix their problems. Make the most of the short time you have after reading the book by directing any after reading activities toward what is the most useful to children at different stages of development. Reiterate the teaching point and give examples of proper strategy use related to the teaching point. You may select a page with which most children had difficulty and model reading up to a tricky word, then rereading from the beginning of the sentence and thinking about what makes sense and looks right. Facilitate discussion to support comprehension. 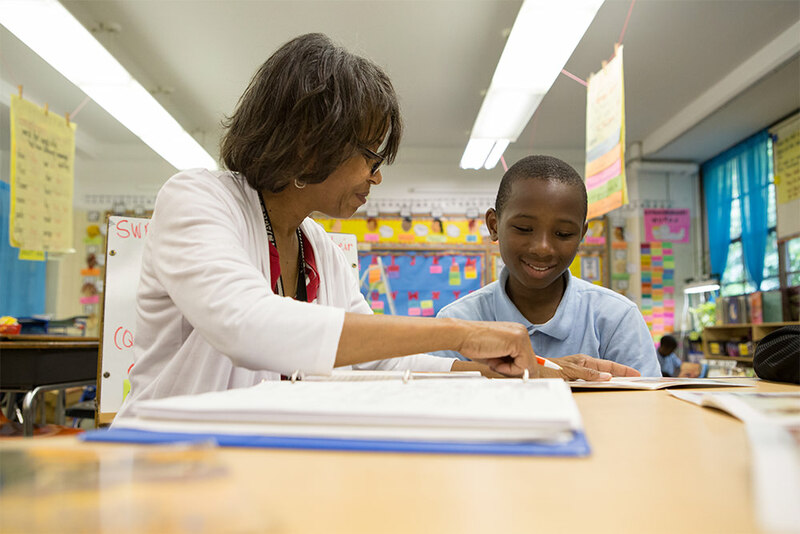 Ask open-ended questions during discussion that invite readers to use their background knowledge, while also stressing the importance of supporting their thinking with evidence from the text. Discussion may including teacher charting or using graphic organizers. Picture or word sorts: Picture sorts are more common at levels C-F when children need to learn short vowels, digraphs, and blends. Distribute pictures to the group. Model first, then have each child place pictures appropriately. Each time a picture is placed, they should reread other pictures in the column to make sure it looks and sounds the same as the other pictures. Eventually, you can replace pictures with words. After word sorts with a particular skill, you can move to blind sorts and spelling/writing sorts. Making words: Make a known word with skill first, change letters in words to make new words, run finger under word and say it each time it’s made to self-check. Push It/Say It: Have cards or magnets for chosen skill and have each child practice pushing cards/magnets (for onsets and rimes or individual sounds/letter combinations) together while blending and saying the word. Sound Boxes: Say words with selected skill naturally while children write each sound in boxes. Sentence Dictation: Practice the selected skill in the context of writing complete sentences (this will help to transfer the skill). Make a sentence that contains sight words and words with the selected skill. Read the sentence and have children repeat and then write the sentence. Choose from a menu of word study activities appropriate for this reading stage. Facilitate discussion to support comprehension. 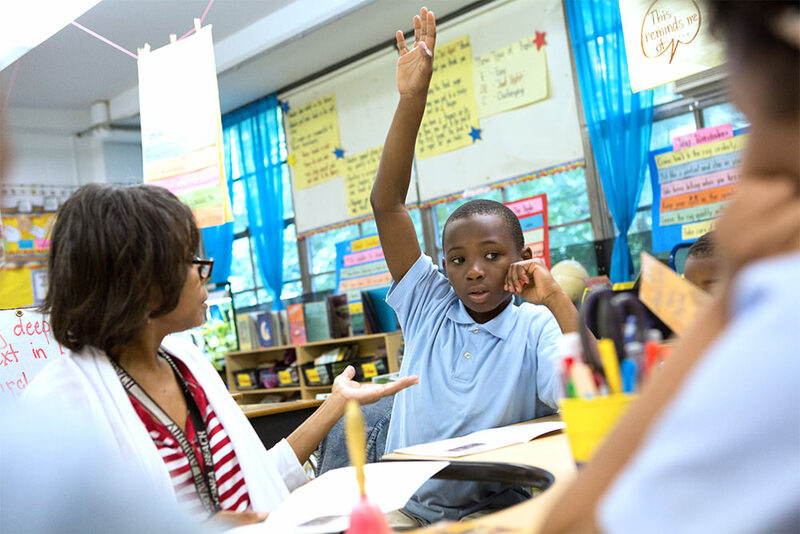 Ask open-ended questions during discussion that invite readers to use their background knowledge, while also stressing the importance of supporting their thinking with evidence from the text. Discussion may including teacher charting or use of graphic organizers and focus on: summarizing, text structure, characters feelings, inferring, synthesizing. Word work should occur if children have difficulty reading and writing words with blends, vowel patterns, and multisyllabic words. You can use magnetic letters, whiteboards, or other activities to build big words and then break them into syllables, and teach/reinforce vowel patterns, blends, and other endings like –est, -ly, -ful, etc. Determine skill based on what children need but whenever possible, pull words that are examples of these letter combinations and word patterns from the text so that readers see words in context. Reiterate the teaching point and give examples of proper strategy use related to the teaching point. Ask children about a challenging word in the text and the strategies they used to tackle it or determine meaning. Facilitate discussion to support comprehension. Review written responses as a basis for conversation about meaning in the text. Focus on lifting meaning from the text to understand the overall purpose/author’s message. 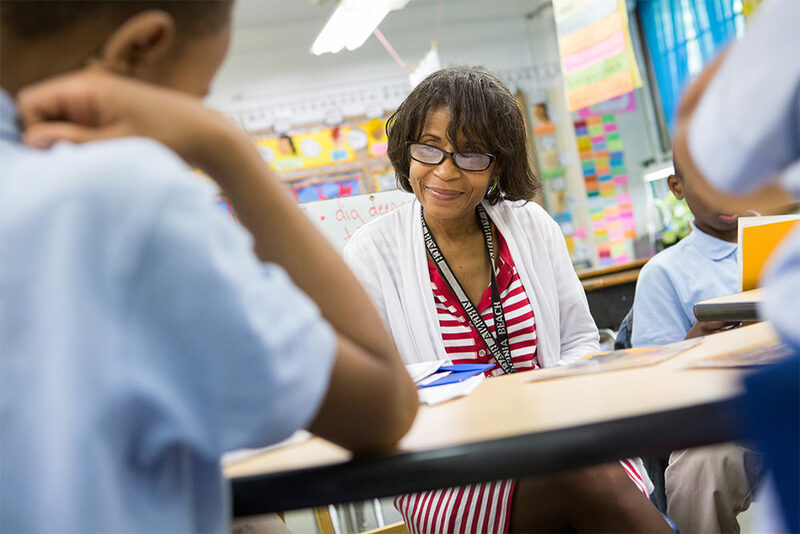 Ask open-ended questions during discussion that invite readers to use their background knowledge, while also stressing the importance of supporting their thinking with evidence from the text. Discussion may including teacher charting or use of graphic organizers and focus on: summarizing a chapter, author’s message, main idea/details, compare/contrast, cause/effect, literal/figurative meaning of poetry. May have children add one or two words from the text to a list of words (with definitions). Words selected can be ones you’d like children to use in conversation or writing, or could lead to a mini-lesson on word analysis (common affixes and roots).